Julius Erving: “If you’re not doing what is best for your body, you are the one who lose.” This is one of the strongest motivational quotes for weight loss. The truth is simple, if you do not worry about yourself, and your own body, you lose! Your health will suffer, your line, your mind… Why? -Just do what is the best for you! 2. “I can’t” is not the answer. An unknown author: “Instead of looking for excuses why I can’t, I will look for reasons why I can.” Do not let the “I can’t” become too often used word in your vocabulary. Winston Churchill: “Never, never, never, never give up.” Churchill was one of the best orators, but in this short sentence, he said a lot. Therefore, except for other areas in life, also this applies to your weight loss. Do not give up, even when it seems most difficult. David Viscott: “Just imagine that you are the person you want to be.” Frequently, visualization is the key to lose weight. Imagine yourself with your desired body, and work for it. At some point in the future, this wish will come true. 5. Try and try again! Marvin Phillips: “The difference between ‘try’ and ‘beat’ is very small.” As long as you’re trying, you are already winning. The most important thing is to be determined. It is difficult to reach the desired weight, but ultimately worth it. Lay Hunt: “The basis of all happiness is health.” If you’re healthy, you’re happy. When you lose weight, you need to focus on improving health, and with healthy body, the weight loss becomes a natural process, and later healthy eating will become your lifestyle. Carl Sendburg: “Now is the time. It is never too late to start something. ” It’s easiest to postpone the obligations for tomorrow. If you find it hard to start, read one of the quotes. Remember that the present moment is all we have, so start now. Roger Bannister: “The man who goes on, even when it’s the hardest to be the winner.” Compete only against yourselves. Diets and weight loss is a difficult process, but even when it’s most difficult, just remember the goal, and continue with full force. 9. Do not feel inferior. Eleanor Roosevelt: “No one can make you feel inferior, if you do not let him.” When you are overweight, you may feel less attractive than anyone else, but it all depends on YOU and your self-image. 10. Mind over the material. Vince Lombardi: “God gave you a body that can lodge almost. Only need to convince the mind”. Weight loss is a victory of the mind over the material. First of all, you have to start to lose weight in your mind, and later to see the results on a physical level. If you feel good inside, it will be transferred to your physical appearance. 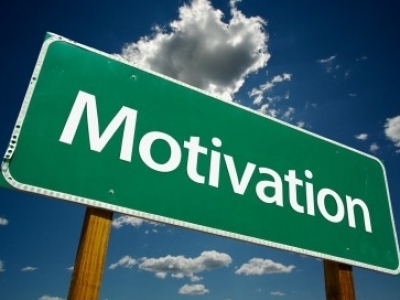 Sometimes we all need some motivation. These quotes gave me the required motivation, and I make my goal. Now I’m fit, I’m eating healthy, and I’m happy! I recommend to read these motivational quotes more often, and to stay motivated through your weight loss. Never give up, try to smile often, and reach your GOAL!